As the world becomes a smaller place and we are increasingly exposed to new cultures, it is inevitable that we would have to learn to communicate with people from all over the globe. Whether it’s because you have friends and family in other countries, or if you wish to communicate with your overseas business partners, it’s great that you’ve decided to pick up a new language. However, learning a completely new language can be a tough experience. This is especially so if you’ve been speaking in only one or two languages all your life. The transition from having just a basic understanding of the new language to that of a fluent user would typically take a number of months or even years to complete. You see, over the years, our minds have become so used to communicating in our native language that any attempt to learn a new language would be met with a form of subconscious resistance. Indeed, our minds have grown so accustomed to our own native language that it finds it especially hard to pick up a new one – it sees no reason to learn a new form of communication when there is already a working in place. Do you find it hard to pick up and internalize a new language? Are you always struggling to remember important foreign phrases, nouns and verbs? Have you always wished to be effectively multilingual? Do you want to pick up new languages quickly without much effort at all? The key to the easy and effective learning of a new language lies in the ability of our minds to open up and accept new ideas and concepts. Unfortunately, many adults today are so ‘fixed’ in their own native language that it’s hard for them to switch and learn a different mode of communication. 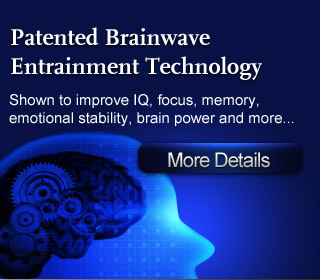 The good news is that with today’s brainwave technology, we can simply release this ‘fixed’ way of thinking which allows us to start absorbing a new language like a sponge absorbs water – language learning has now never been easier or more effective! 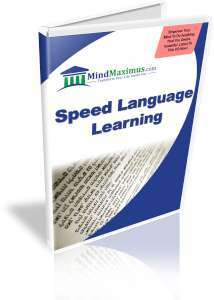 No reviews on B02 Speed Learning Language so far.